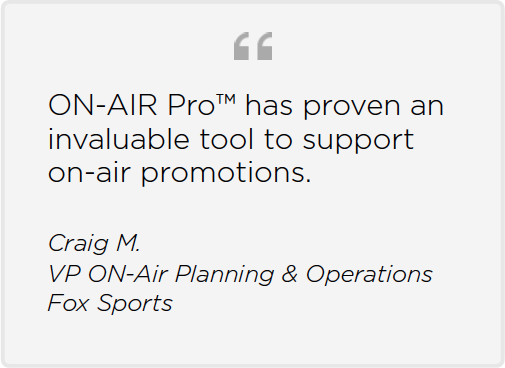 The ON-Web™ plug-in enables web access to key functions within ON-AIR Pro™. 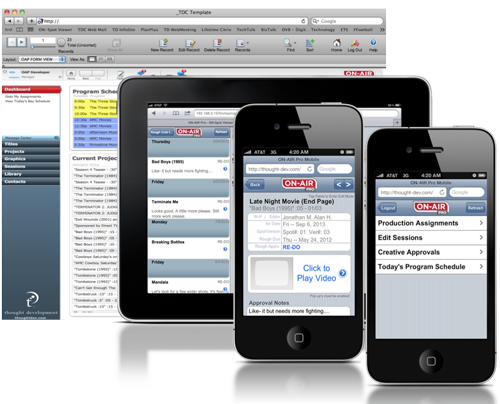 Desktop browsers and browser-capable mobile devices can connect to the web/mobile login for portable devices, with the ability to see active projects and tasks, log time spent on projects, and more. When coupled with ON-Spot™, users can use ON-WEB™ to review and approve video media and add approval notes directly from their device. When utilized along with ON-Message™, users can receive automated messages from the server that contain mobile links to review and approval and other functions from ON-Web™.